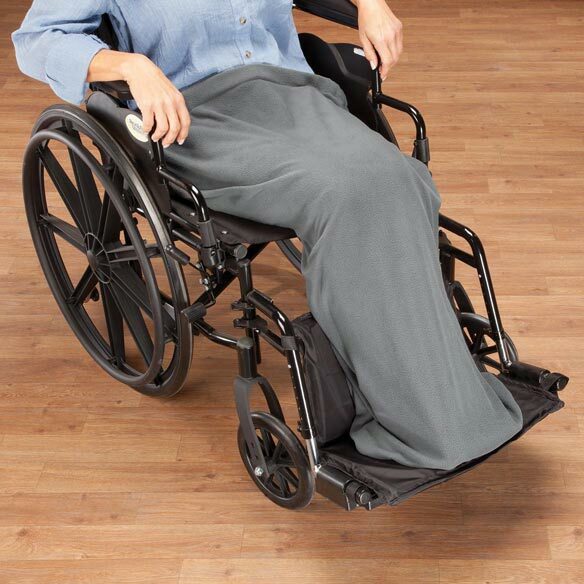 Soft, cozy wheelchair leg blanket keeps a wheelchair user’s legs and feet toasty without getting in the way. With a secure waist strap and elasticized bottom, it insulates against drafts for all-season comfort that won’t affect wheelchair mobility. Lap blanket keeps wheelchair users warm and cozy. Waist strap secures blanket in place. Elasticized bottom helps stop drafts and dragging. 37”L x 23”W size stretches to fit. Wheelchair blanket made with easy-care 100% polyester. I am always cold and this is perfect . My 15 year old son is in a wheelchair. He is always freezing. 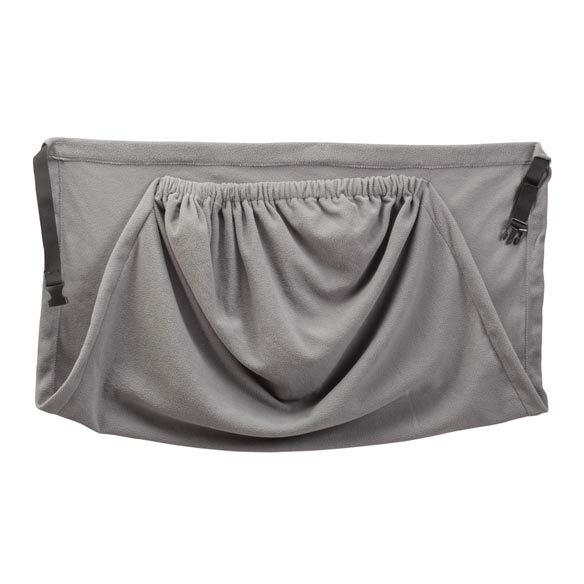 For myself, I do like on how it's made with elastic at the bottom and tie around the back, Smart.